Visions provides students with a flexible and safe learning environment. We offer three academies to address the needs of all students. Gives students the flexibility to earn their high school diploma from home without the drama. 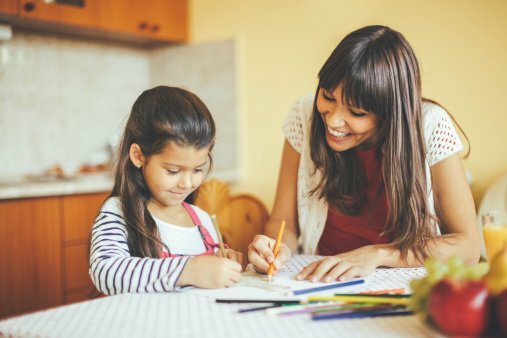 Students can prepare for college from home and learn life skills while enjoying a flexible schedule. Parental choice with our support. Choose your student’s curriculum and customize their education. Graduate Spotlight: Hailey Johnson, University Prep Academy, Class of 2014. Hailey knew at a young age that she wanted to attend university after graduation. 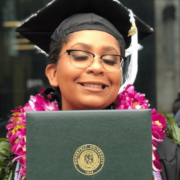 As she prepared to make the transition into high school she and her parents realized the traditional public school system didn’t offer the benefits they needed and they seemed disconnected from their students. Hailey was looking for a personalized education that would allow her to excel and work at a faster pace. While she was searching for an alternative she heard a radio ad for Visions. When we came to Visions it was very apparent that the students came first and that I would be able to get personal schooling while moving just as fast, if not faster, than in [traditional] public school. During her time at Visions, Hailey focused on her A-G courses and learned the skills to self-teach and manage her time. The University Prep program gave her independence and taught her the responsibilities that she would need in college. She took advantage of the one-on-one relationship with her teacher and participated in various Visions activities, including the Find Your Voice writing class, that connected her with other students and helped her develop her leadership skills. While at Visions she also discovered her interest in neuroscience and prepared to apply to universities to study the science of the brain. Hailey just graduated in May 2018 from Roosevelt University in Chicago. She earned her Bachelor’s Degree in Psychology with a focus in Neuroscience. During her time at Roosevelt she participated in a community service program that helped serve the inner parts of Chicago. She also studied abroad in her junior year and visited the east coast of Australia. She’s now considering her options. After focusing on her schooling for the past eight years she’s planning to either take a break for herself or continue her educational journey by pursuing her Master’s Degree. Her ultimate goal is to earn a Doctorate in Psychopathology. Being in a school like Visions can push you to go off and have an incredible life. If you’re worried about not being able to grasp the information, it’s about finding out what you are capable of. I graduated high school on my own terms.